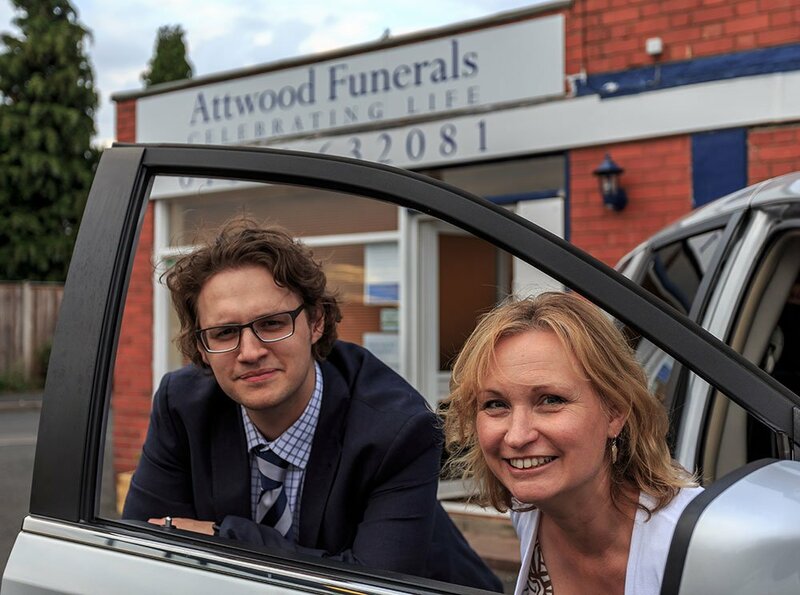 What Makes Attwood Funerals Different? 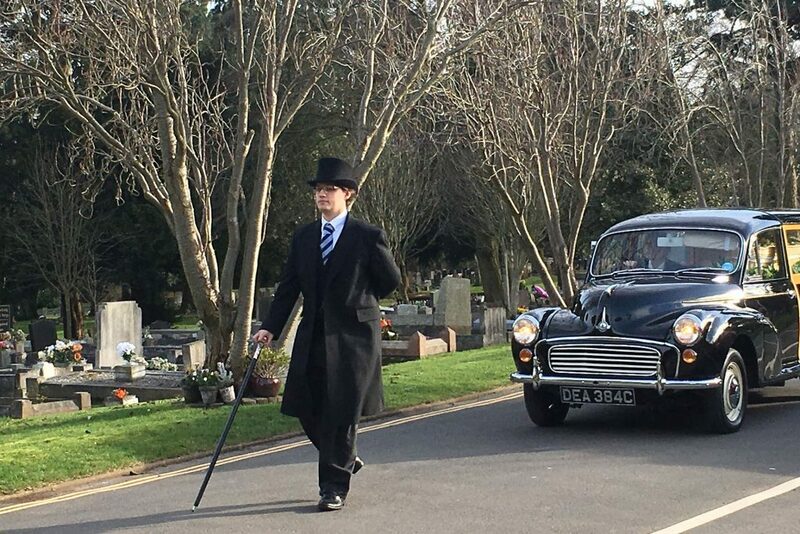 First and foremost we are people and funeral directors second – so you will find us relaxed and approachable and wearing everyday clothes, not the usual sombre black attire. We have gleaned experience in the funeral world for many years in a wide range of places so we can help you realise your wish traditional or modern, simple or elaborate, religious, spiritual or non-religious, green burial or cremation or just completely bespoke – when it comes to funerals and memorials, the choice is yours. There are no rules about what a funeral should be like. We can create a funeral that helps you remember someone who has died in the way you wish in as unique a way you wish, but always with dignity. 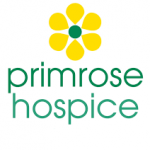 We are there to support you through a time of grief and help you to make the choices and decisions you want. We allow you time to make the right decisions for your and your family. 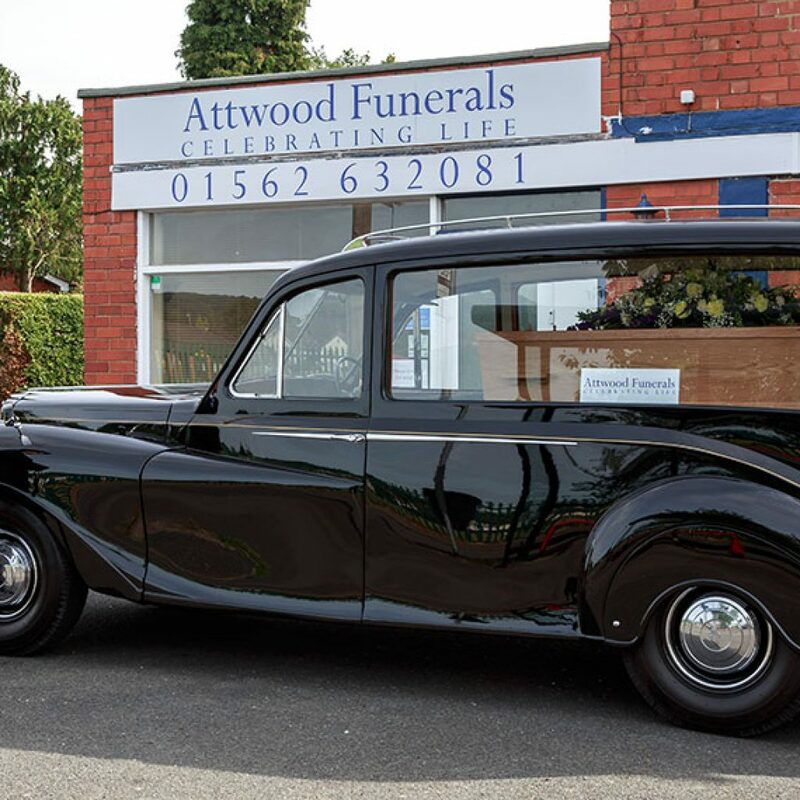 Attwood Funerals is family owned and run. 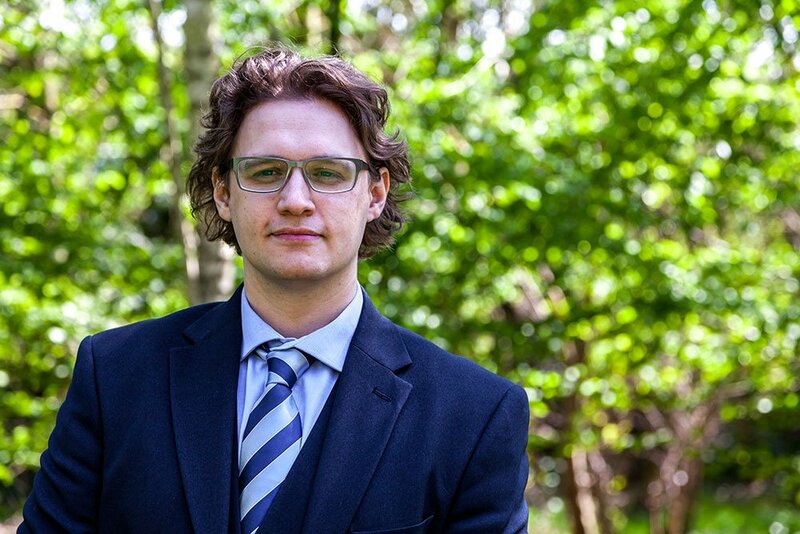 Mike has worked for a variety of funeral directors over the last few years, he is a Green Fuse trained funeral director and has also been trained by Angie McLachlan and Ichabod Smith in care of the body. He has a degree with the Open University. Kate assists Mike in his work. 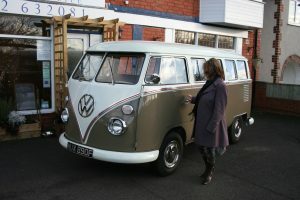 She has been an independent funeral celebrant for ten years and member of the Association of Green Funeral Directors. Her background as a school teacher in special needs and religious education has stood her in good stead, she also practises as a psychotherapist being an NLP Clinical Master Practitioner. She holds a degree in Law and a Master’s in Religious Education. Kate trained with Embracing Dying as a Soul Advocate and has also been trained by Angie McLachlan and Ichabod Smith in care of the body. She grew up in a rectory, her father being a parish priest and her mother a headteacher, they were both excellent role models for her. 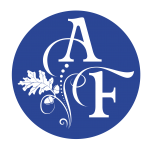 Attwoods is a small, family funeral director founded by Mike. 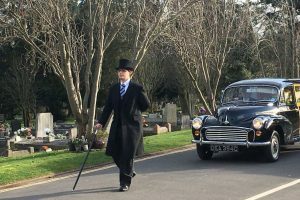 Here to offer a fully participative funeral service where the bereaved can truly be as involved in all aspects of the arranging, preparation and ceremony as they might wish. The name Attwood comes from Mike’s grandmother’s maiden name. Mike is supported by Kate, funeral celebrant and funeral arranger. Attwoods are a small company so you get to know us very well as we celebrate and commemorate an important life together. 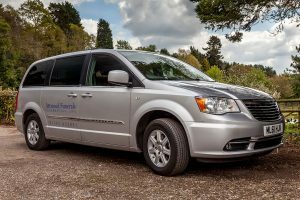 Where possible as an alternative to hiring a traditional black hearse we offer the service of transporting the coffin to the venue ourselves with our fully equipped Grand Voyager affording us a discreet and dignified method of transport. In addition in most cases, we will have the capacity to transport up to two family members along with the coffin if desired. 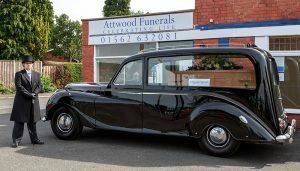 Attwood Funerals is fully compliant with the Natural Death Centre recommended funeral director Conditions. We believe in people’s individuality and celebrate the diversity of our unique community and we work hard to ensure that we do it justice. We are firmly committed to a more natural approach and to a gentler way of doing things – from the coffins and urns that we promote through to the ways in which our celebrants work with families and friends of the deceased. These commitments are threaded through everything we do. 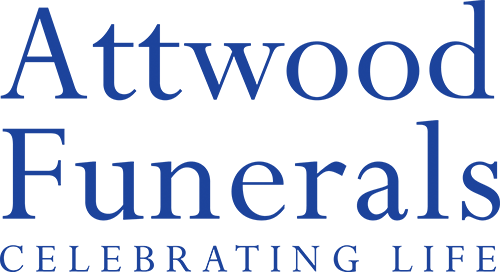 There are many other ways in which we are different, so please explore our website and feel free to get in touch via our contact page or on one of our office telephone numbers, if you have any questions or comments. 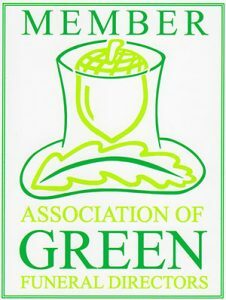 Attwood Funerals are a member of the Association of Green Funeral Directors. 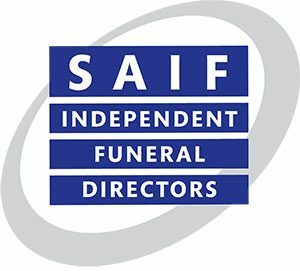 In 2018 Attwood Funerals were proud to become a member of The National Society of Allied and Independent Funeral Directors (SAIF), something that will help us ensure that we continue to give those coming to us for help in difficult times the level of care and professionalism they deserve. What can I say other than a "huge" thank you! Your service and professionalism was fantastic. Speaking with you to discuss our requirements was very relaxed and friendly. Throughout the process, Kate and Mike's thoughtful gestures meant a lot to us. When we first met Kate, she gave me, my mom and my sister a sprig of rosemary each, rosemary for remembrance. On such an upsetting day this gesture brought comfort to the point where I have dried and kept the sprig safe since. Kate spent a lot of time with us at the chapel at Westhope the day before the ceremony that day making sure everything was perfect decorating it with photos, candles, incense and flowers. Thank you for the respect and dignity you gave Mum in her last moments of public duty. The funeral was wonderful and it was just what she wanted for herself. Thank you for all your guidance and support for the funeral. We were so pleased you suggested the burial ground you did, it is just perfect, as was the method of transport. Thank you for sending me the transcript of the service, I will read through it on one of my good days. It was a lovely service (if funerals can be described this way) lots of people commented on it. Thank you for making a sad time easier to deal with. 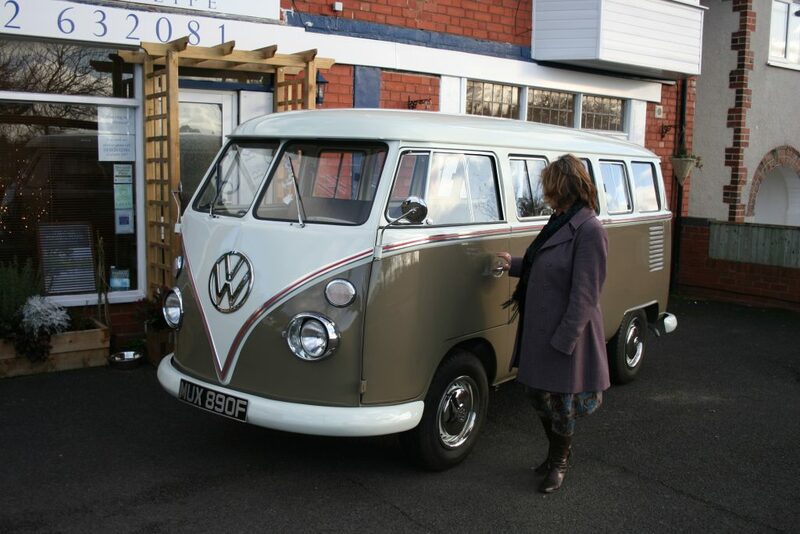 The service was brilliant and just what we wanted, you told ‘Ann’s Story’ in just the right way. We had many comments after the service on how fitting and appropriate it had been. The moment of reflection was especially noted as having brought a sense of peace and calm for several people. Thank you also for the lovely pieces which you sent following the funeral. This was a wonderful gesture and, at some point, will bring solace to reflect on. The words you spoke were beautiful and you really captured his essence. You had clearly thought hard about what you would say and the reading you would use which helped bring comfort on such a difficult occasion. Attwood Funerals is pleased to announce availability of the Nissan Leaf Electric Hearse for an extra eco touch to a funeral, on hire from our friends at A Natural Undertaking in Birmingham. We are having a coffee morning on 29th September 10-12 please come along to our lovely premises in Marlpool Lane and support Macmillan with us.